Some members of the Network of Vietnamese Bloggers are planning to have a formal meeting with the German Embassy in Hanoi tomorrow morning. The bloggers intend to hand in Statement 258 to the Embassy and discuss human rights issues in Vietnam in recent times. Germany, as does Sweden, has long-standing friendship relations with Vietnam. German Chancellor Angela Markel, during her visit to Vietnam in October 2011, met with PM Nguyen Tan Dung and the two signed the Hanoi joint statement to establish a strategic partnership and further strengthen cooperation between the two countries. 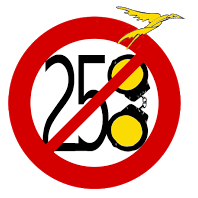 The German Embassy proves to be interested in Statement 258 campaign which is deemed to be the first collective action by Vietnamese bloggers to protect their freedom of expression.